Don't let ugly Red Slime destroy the beauty of your tank. 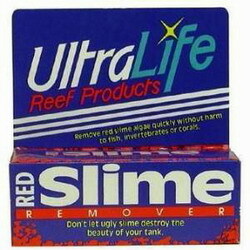 Now you can remove unsightly red slime within days, without effecting corals, fish, invertebrates or macro algae. Simply mix the powder per instructions, apply and virtually watch the red slime be removed overnight.